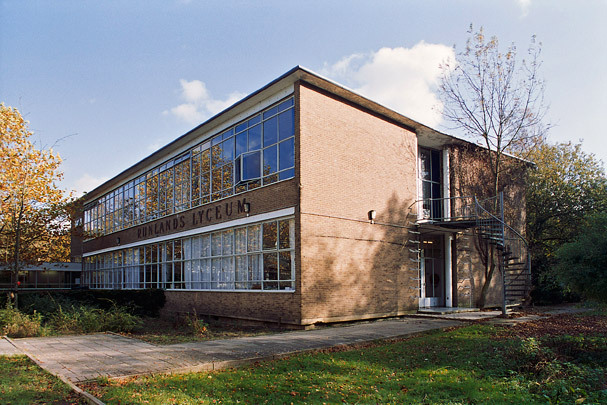 Consisting of a central section and two wings, this grammar school was built in two phases: first the central section and the wing comprising the auditorium, and later the other wing, whose three storeys contain standard classrooms and a new, spacious main entrance. The concrete frame is variously filled in and related to the facade. The new wing retains the same type of brick, though a lack of funds necessitated using wooden window and door frames and structural cross walls.